It didn't take long for Oklahoma City to remove themselves from the cancer that is Carmelo Anthony. 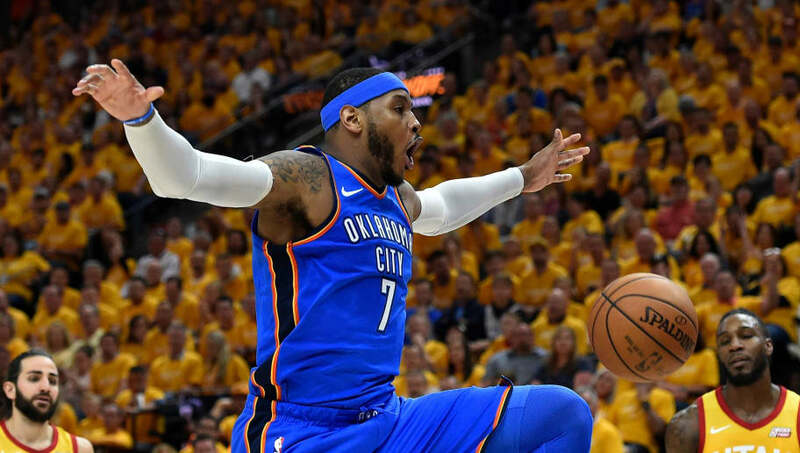 The Thunder made it very clear that Melo wasn't part of their long-term plans, especially considering his insane player-option worth nearly $28 million. Although the 10-time All-Star has his eyes set on Houston and Miami, he'll have to make a very quick pitstop. According to Adrian Wojnarowksi, the Thunder will send Anthony and a 2022 first-round pick to ​the Hawks for Dennis Schroder. Once the deal is completed Atlanta will be waived, as the disgruntled forward can join whichever he team he pleases. According to Shams Charania, the Philadelphia 76ers are also included in this deal. Philly will receive Mike Muscala while Timothé Luwawu-Cabarrot​​ heads to OKC and Justin Anderson is dealt to Atlanta. For starters, the Hawks did an exceptional job receiving a first-round selection just for taking on Anthony's salary. While relinquishing future assets isn't ideal, the Thunder needed to save money on the luxury tax. It's odd envisioning Schroder and Russell Westbrook on the same roster, but he does help solidify the second unit in OKC. All things considered, GM Sam Presti and the rest of management have to be thrilled. ​​It's been a rollercoaster of emotions for Anthony, but hopefully the future Hall of Famer can revitalize his career. ​Whether it's Miami, Los Angeles or ​Houston, it appears that Melo will play alongside one of his buddies from the banana boat. It's been one hectic offseason in the NBA, and the Thunder have just increased the drama for this summer.